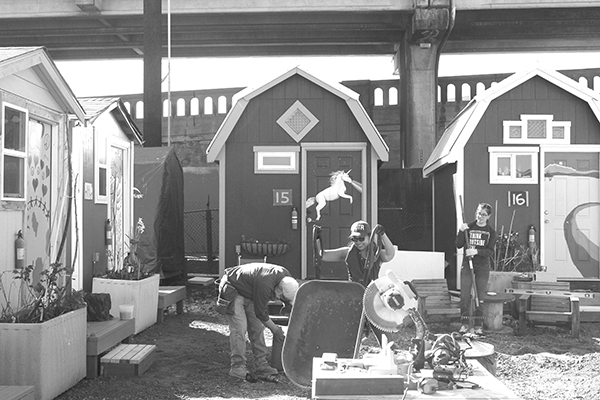 Photo by Brandon Macz Retired builder Dale Hoff makes one tiny home each month for the Low Income Housing Institute. 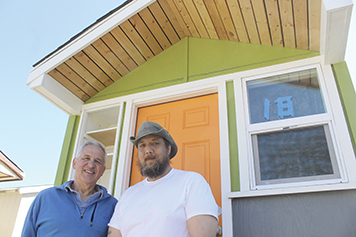 Interbay Village resident Carlo Gnecchi moved into one of them over the weekend. LIHI began expanding the village in March, and a work party took place there on Saturday, March 30. Photo by Brandon Macz LIHI held a work party at Interbay Village on Saturday, March 30. More information about his Building Dreams program is available at utemple.org/building-dreams.